2010 - Feb. 22 - Happy Takeshima Day !! 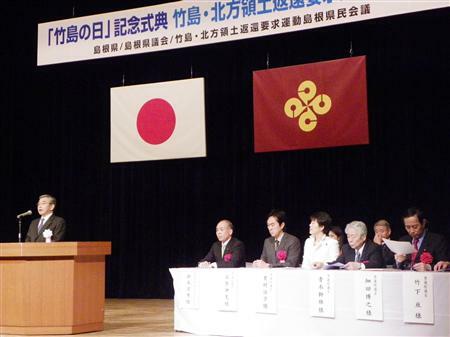 Today, the Shimane Prefectural Government marked its fifth "Takeshima Day(竹島の日)", since its assembly approved an ordinance establishing Takeshima Day in 2005. To my surprise, 10 members of National Diet participated in the ceremony, held in Matsue today, according to Sankei Shimbun. Though none of the official of Ministry of Foreign Affairs nor the Diet member of the ruling party joined, it's a great progress considering it was only 3 of them last year. Oh, the Korean protesters came to Matsue and had a outdoor protests as always. You can see the usual member in the protest group. Check the video below out. But it looks Korean got less interested in Shimane's Takeshima Day gradually every year in the last 5 years. According to Asahi Shimbun, 90 % of public schools (primary & Junior high schools) in Shimane are going to have the special class for teaching Takeshima this year. 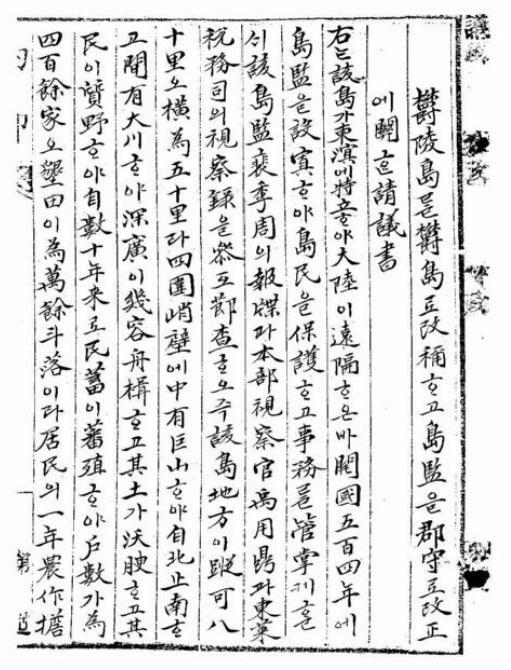 The Dongyeo Bigo (東輿備攷) is a Korean atlas that is believed to have been compiled in the late 1600s, though there is an argument that it was made even earlier as a reference for the Dongguk Yeoji Seungram (東國輿地勝覽), which was published in 1486. The atlas has thirty-two maps, including historical maps that were meant to show geographical name changes though history. 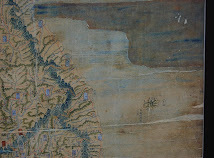 The above map showed the boundaries of the Korean pennisula around the time of Korea' s Three Han Period (三韓時代), which ended about 300 A.D. 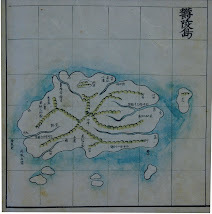 The map shows Ulleungdo labeled as "Usando" (羽山島). The above map shows the Korean peninsula during Korea's Three Kingdoms Period, which ended in 668 A.D. The map showsUlleungdo labeled as "Usanguk, now Ulleungdo" (羽山國 今欝陵島), which means Ulleungdo went from being called "Usando" (羽山島) to Usanguk (羽山國). 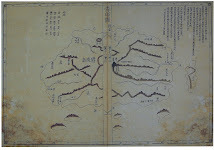 The above map shows two islands of the coast of Uljin (蔚珎). 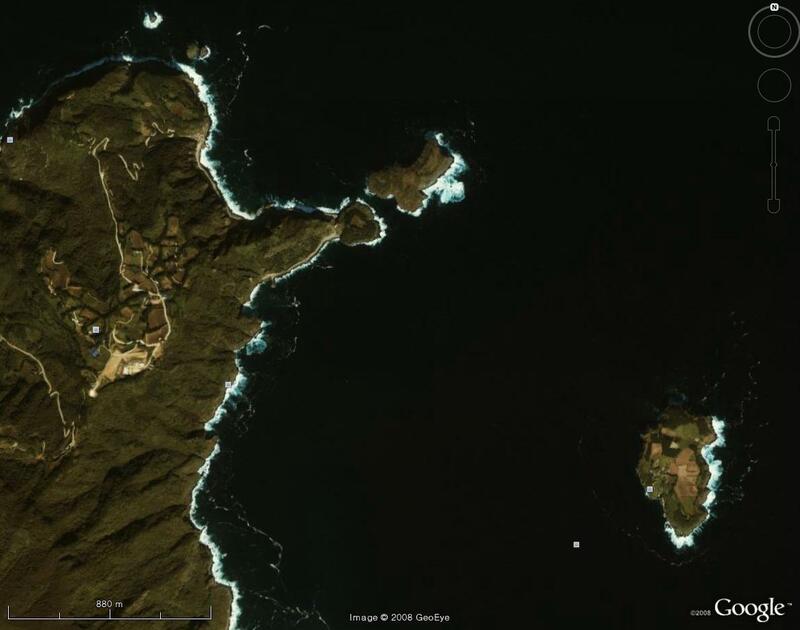 One island is labeled "Ulleungdo" (欝陵島) and the other is labeled Muleungdo (武陵島), with the phrase "also called 'Usan'" (一云 于山) written beside it. 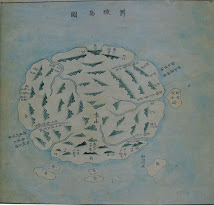 In the 1400s, Ulleungdo was referred to as "Muleungdo" (武陵島), "Usando" (于山島), and Usan-Muleung (于山武陵). Muleungdo (武陵島) was also used to refer to Ulleungdo's neighboring island of Jukdo (竹島), which is only two kilometers off Ulleungdo's northeast shore. 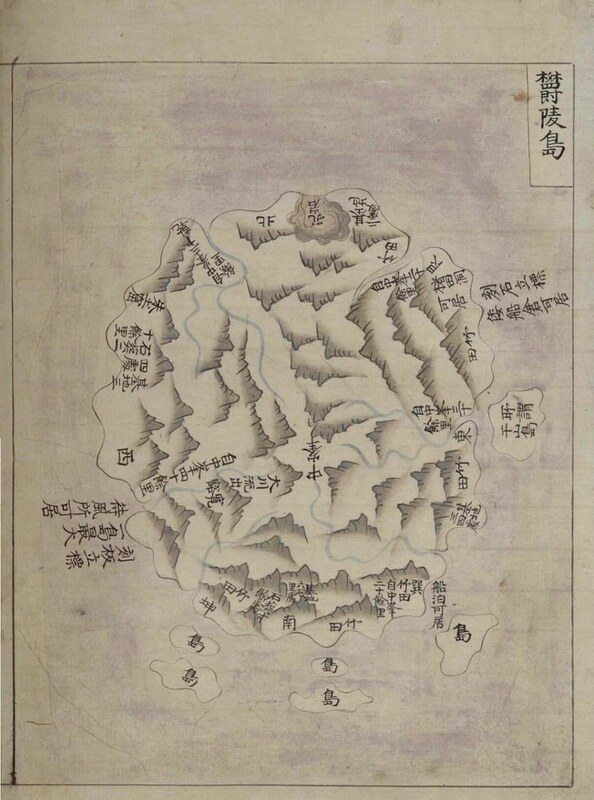 In the 1500s and 1600s, Korean maps showed Ulleungdo labeled as Usando (于山島) and its neighboring island of Jukdo (竹島) labeled as "Ulleungdo" (鬱陵島), though this was probably just confusion about which side of Ulleungdo the neighboring island was. 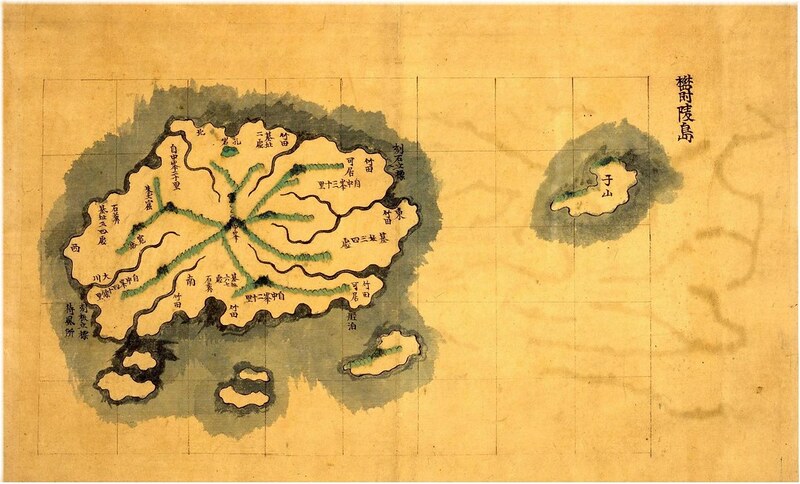 By the end of the 1600s, however, the confusion seemed to have been cleared up because the main island of Ulleungdo was being labeled "Ulleungdo" (鬱陵島) and its neighboring island of Jukdo was being labeled "Usando" (于山島). 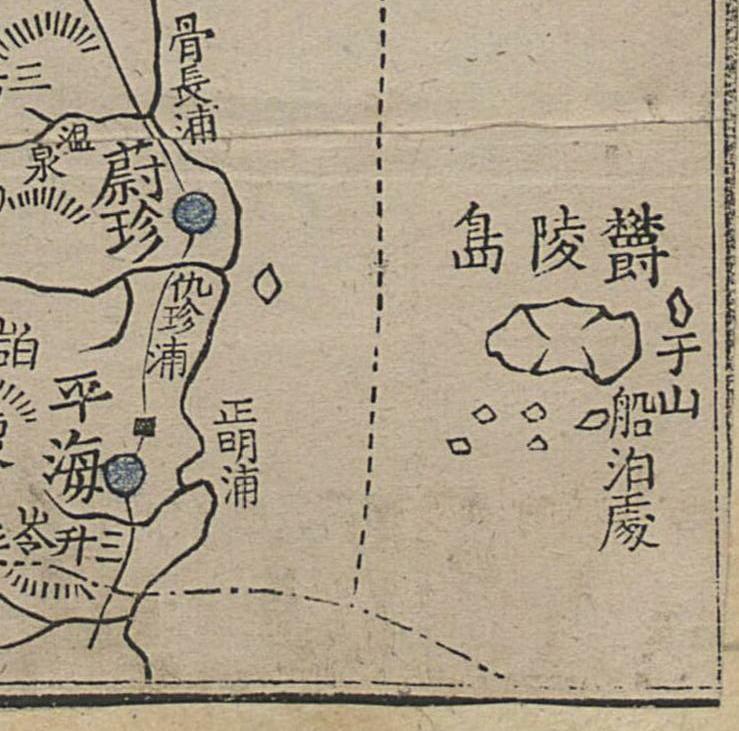 The fact that the above map shows both "Ulleungdo" (欝陵島) and "Muleungdo" (武陵島) suggests that it may have represented a time around the start of the 1500s, which was about the time the name "Muleungdo" switched back over to "Ulleungdo." 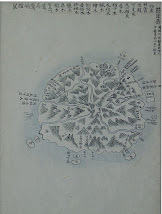 The fact that the map shows the island to the west labeled "Muleungdo/Usan" (武陵島/于山) and the island to the northeast labeled "Ulleungdo" (欝陵島) suggests that, at the time the map was made, Ulleungdo was being referred to as both "Muleungdo" and "Usan" while its neighboring island of Jukdo was being referred to as "Ulleungdo." 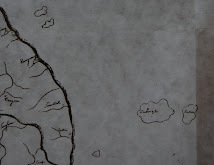 However, since the "Three Kingdoms Period" map had the phrase "Now called Ulleungdo" next to "Usanguk," we can assume that "Muleungdo/Usan" was referring to Ulleungdo's neighboring island, even though the map showed it to the west of Ulleungdo instead of the east. 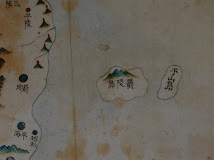 Nevertheless, the map suggests that Ulleungdo's neighboring island was referred to as both "Usando" and "Muleungdo" during the 1400s. 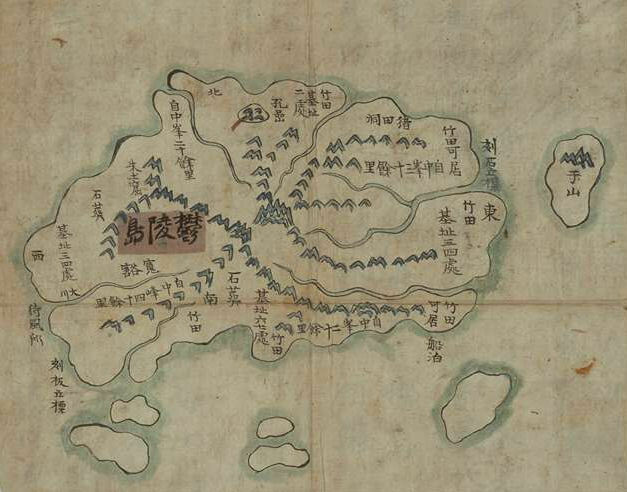 By 1530, the name "Muleungdo" was replaced by "Ulleungdo," based on the following 1530 Korean map, which shows two islands beside each other. 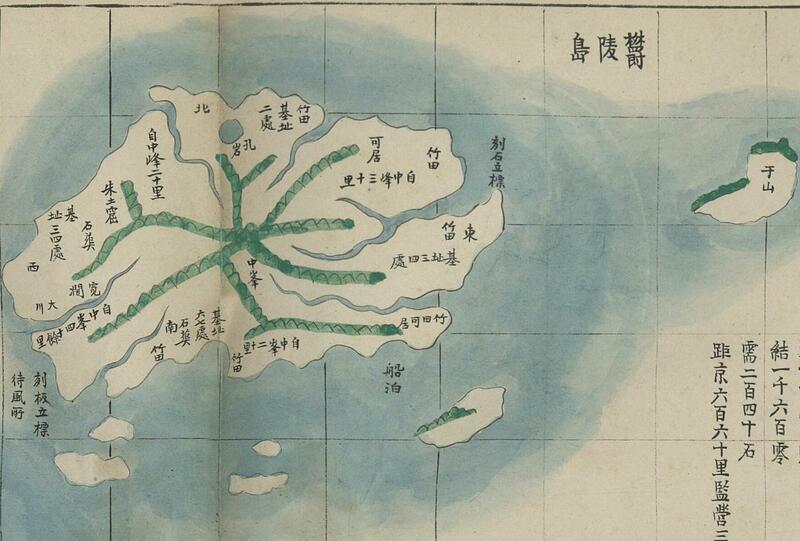 The one closer to the Korean coast was labeled "Usando" (于山島), and the one to its east labeled "Ulleungdo" (鬱陵島). 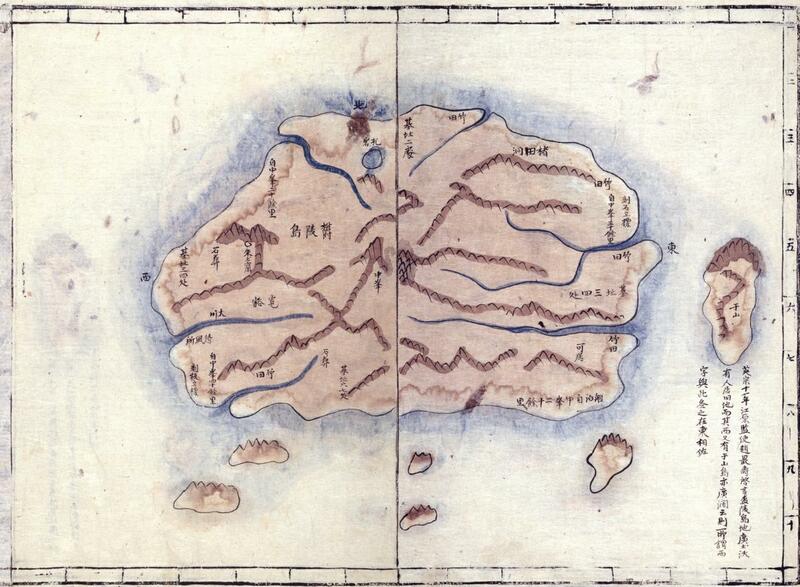 The 1530 map below was not part of the Dongyeo Bigo. 3 days before the Ordinance NO.41 was promulgated, the petition for the ordinance was submitted by 李乾夏, a Minister of Internal Affairs of Korea, and it says that "the area of the island in concern(該島地方) should be 80 ris(32km) in length and 50 ris(20km) in the width." As we know, today's Takeshima(Korean call as Dokdo, meaning lonely island) is 92km far from Ulleungdo. Three days later, based on this petition, Ulleungdo was promoted as Uldo County, one of the county of Gangwon Province by the Ordinance no. 41. 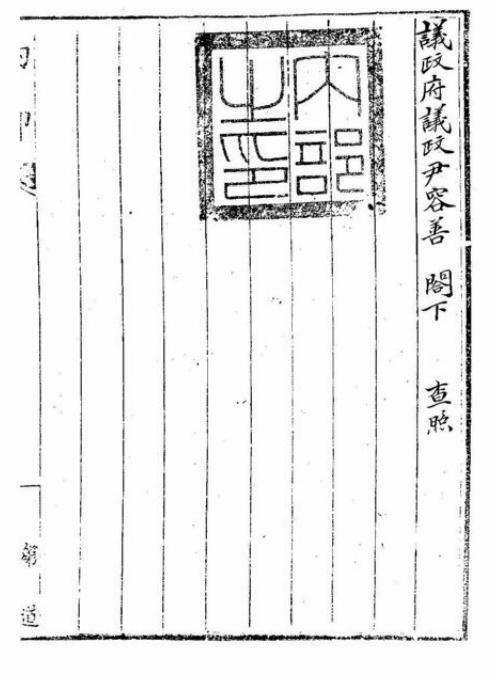 This petition itself was made based on the inspection led by U Yong-jeong(禹用鼎) in June 1900, 4 month prior to the petition, while he didn't even hint about today's Takeshima in his report. From those Korean official documents, it is apparent that Seokdo(石島) in the ordinance is not today's Dokdo/Takeshima/Laincourt Rocks at all. 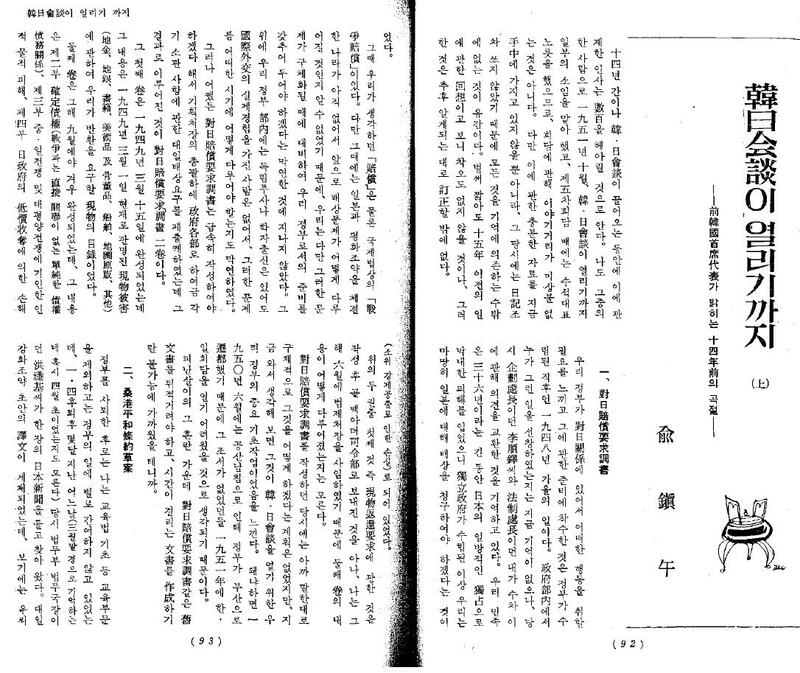 There is absolutely no trace of today's Takeshima in those series of documents nor maps made by Korea. In that sense, it is significant that皇 城新聞 reported that (the Korean Interior Ministry answered to Japanese Resident-General) "area under the authority of the Uldo County were sixty ris(24km) from east to west and forty ris(16km) from north to south for a total of 200 ri s(80km)", Because Ms. Yu had to make it clear how 禹用鼎, who was the official inspector from Interior Ministry, recognized the area of Uldo County, since 禹用鼎 was the one who inspected Ulleungdo in June 1900 and suggested that Ulleungdo to be promoted to the "Uludo County". 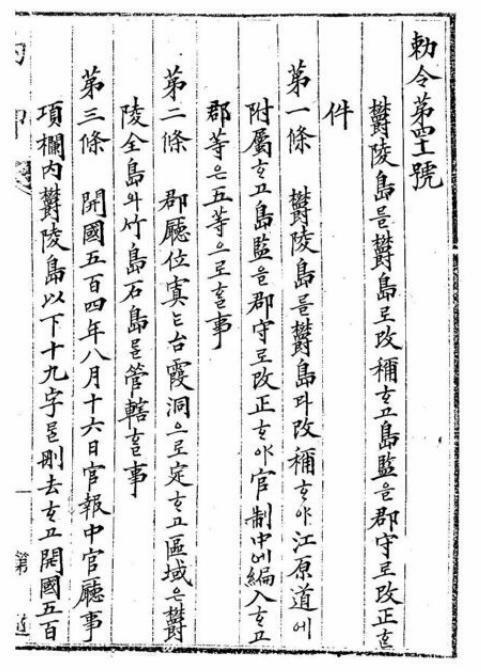 The suggestion by 禹用鼎 actually lead to the promulgation of the Imperial Ordinance No.41. This is strongly supported by the petition which was submitted by 李乾夏, a Minister of Internal Affairs of Korea, 3 days before the Ordinance NO.41 was promulgated. Since it specified Ullengdo, which later became Uldo County, has "80 ri(32km) in length and 50 ri(20km) in width" and its special products are "potatoes, barley, soybeans and wheat." In those years, major industries on Ulleungdo were agriculture and fishery were extremely as minor as harvesting seaweeds around on the shore around Ulleungdo. 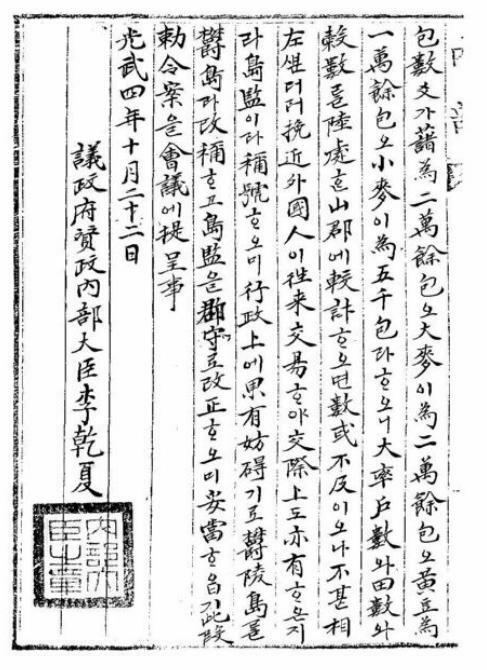 This is also proved by the report of inspector U Yong-jeong(禹用鼎) in June 1900, which lead Ulleungdo promoted as one of the county of Gangwon Province 4 months later. 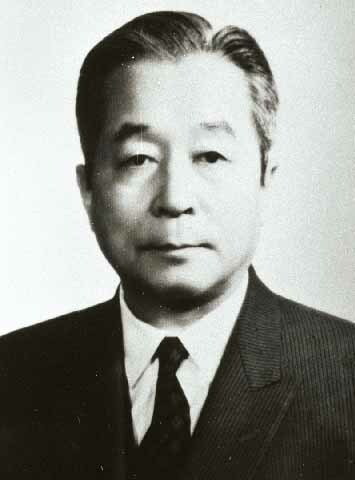 In his report "Uldo-gi(鬱島記)", U wrote that "its agricultural products were barleys, wheats, soy beans and sweet potatoes." and "fisheries were mainly harvesting seaweeds." As we can clearly see from this, on Ulleungdo in 1900, agriculture was the residents' legitimate occupation, while fishery were only for harvesting seaweeds. Islanders on Ulleungdo only started to voyage to Takeshima/Dokdo when they were hired by Japanese fishermen who began hunting sealions in earnest on Takeshima/Dokdo, which was 4 years after the Imperial Ordinance were promulgated. 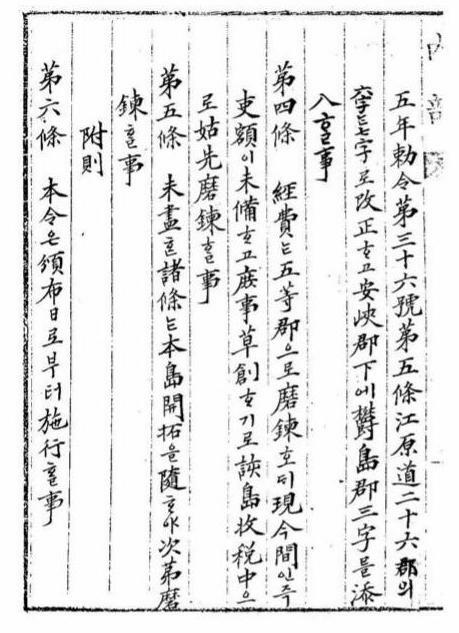 If Korean really wants to claim this Seokdo(石島) was today's takeshima, she needs to prove their theory with concrete evidence based on first-hand historical source, not speculation. 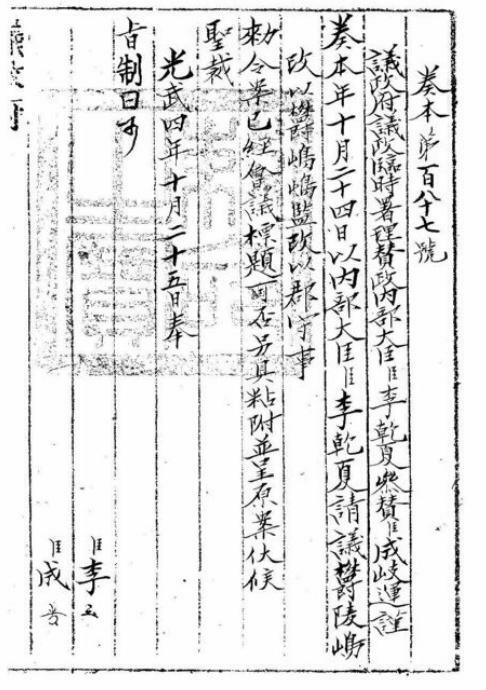 Whatever the Seokdo in the Imperial Order no.41（大韓勅令第41号 ） was, it was absolutely not today's Takeshima/Dokdo/Liancourt Rock. That's for sure. 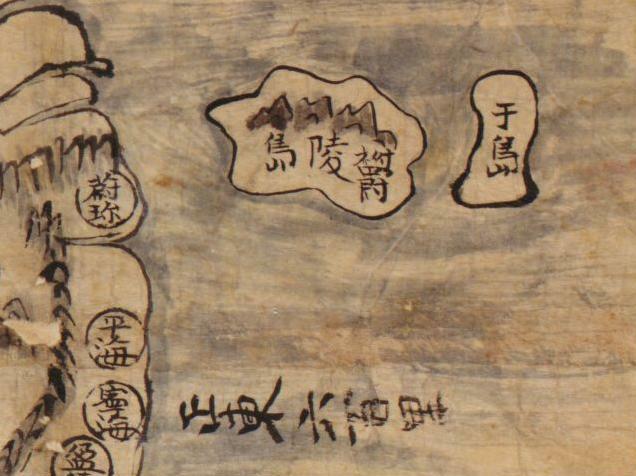 The following map is entitled "Map of the Original Regions of Silla, Goguryeo, & Baeje" (新羅高勾麗百濟肇造區域之圖) and is from an atlas entitled "Dongyeo Bigo (東輿備攷)," which is believed to have been compiled sometime in the mid to late 1600s. 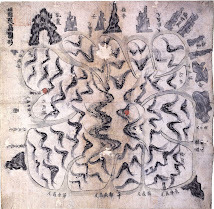 The map below is one of thirty-two maps in the atlas, which is believed to have been made to aid in the understanding of "Dongguk Yeoji Seungram" (東國輿地勝覽) . The atlas is stored at Daeseong Hermitage (大成庵) in the South Gyeongsang Province city of Yangsan (梁山). The map is very similar to THIS MAP. 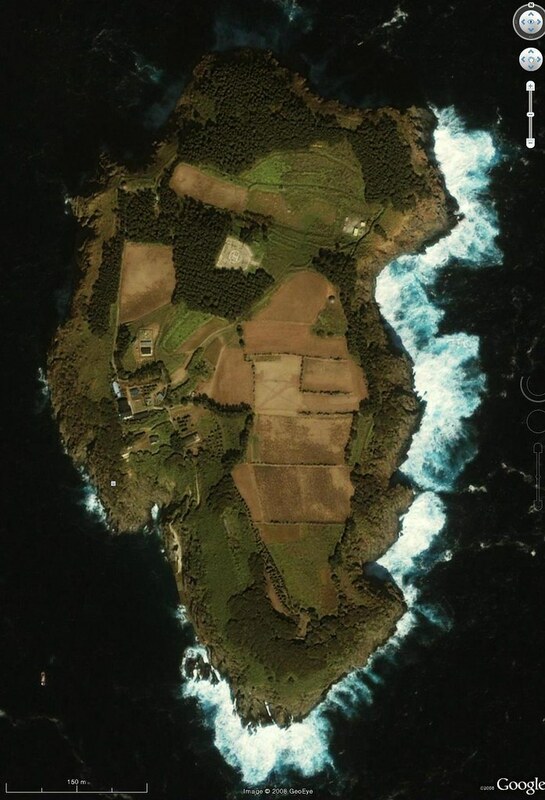 The map shows an island off the east coast labeled "Usan-guk - Now Ulleungdo" (羽山國 今 欝陵島). This is evidence that Usan-guk was just a reference to Ulleungdo and did not include "Dokdo" (Liancourt Rocks). 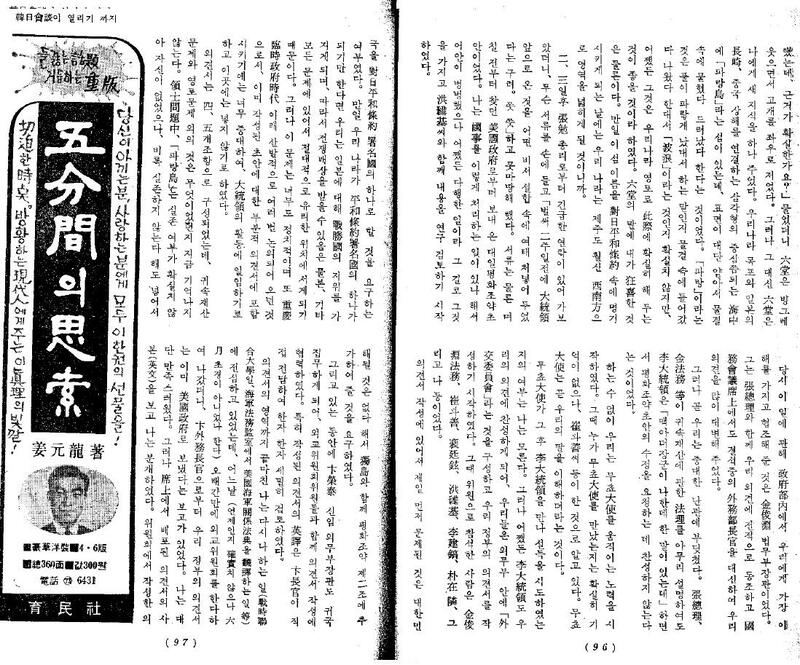 "Recently, I have discovered evident in Japan's Shimane Prefecture Library that the Japanese government tried to inform its people, by way of newspaper, of its incorporation of Dokdo as Japanese territory." "최근 일본 시마네현 도서관에서 일본정부가 독도를 일본영토로 한다는 사실을 신문을 통해 국민들에게 알리려고 했다는 증거를 발견했다." 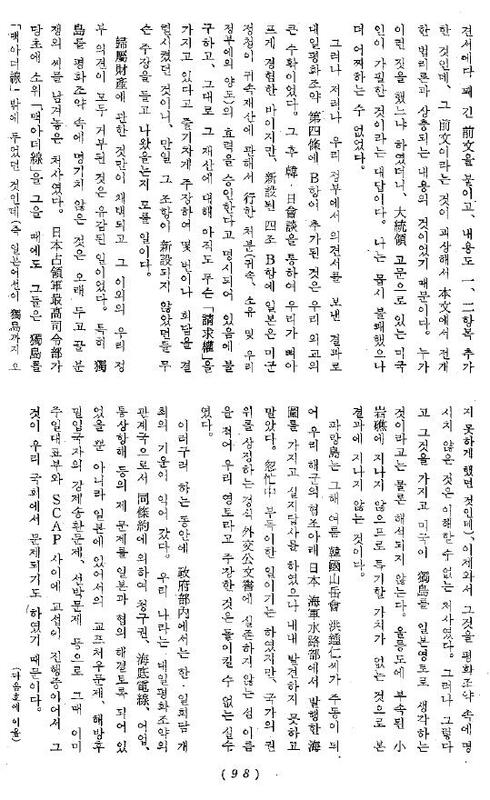 The 1905 Japanese newspaper article that the Korean professor has only "recently discovered" is the same article that we wrote about on this blog in 2007. If he had only come HERE and read our post three years ago, the professor could have "discovered" the article much sooner. Koreans have been claiming for years that the Japanese government in 1905 tried to keep the incorporation of Takeshima a secret, supposedly because Japan did not want the world to know that she was stealing Korean land. Now, in an article that is trying to make some kind of news out of the fact that the Japanese article referred to Takeshima as "Oki's new island," Koreans are inadvertently admitting that the incorporation of Takeshima was made public in 1905. 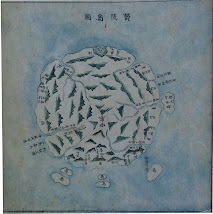 By the way, the 1905 Japanese article was entitled "Oki's New Island" (隠岐の新島), not "Japan's New Island." The title only meant to say that Takeshima was officially put under the jurisdiction of Oki County, not that it was a new Japanese island, which is what the Korean article seems to be trying to imply. 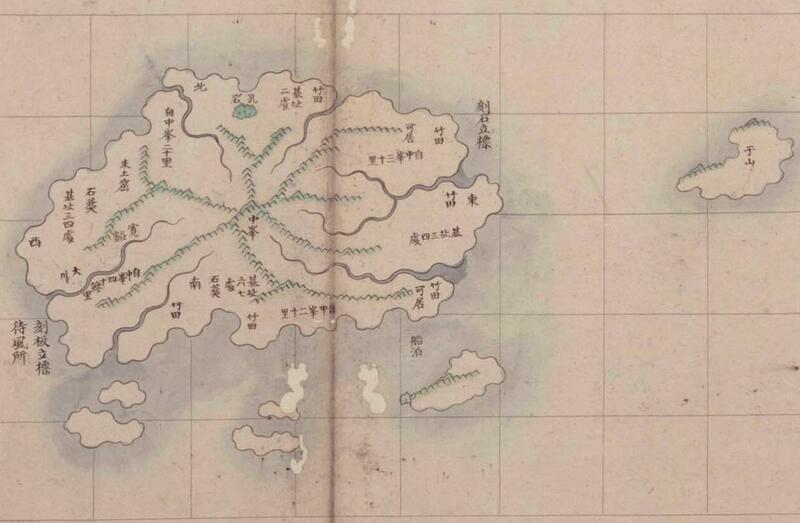 Japan has many old maps showing Takeshima as Japanese territory, but Korea has none showing it as Korean territory. Takeshima before 1905 appears to have been considered unincorporated Japanese territory, but in 1905, it was formally incorporated, as is evident by the 1905 Japanese article mentioned above. Thanks, Kaneganese, for pointing out the Korean article. I do not support Korea's "East Sea" movement. I do not support the Korean movement to rename the "Sea of Japan" to the "East Sea," just as I would not support a movement to rename the "Gulf of Mexico" or any other standardized geographic name. Why make geography more confusing than it already is? 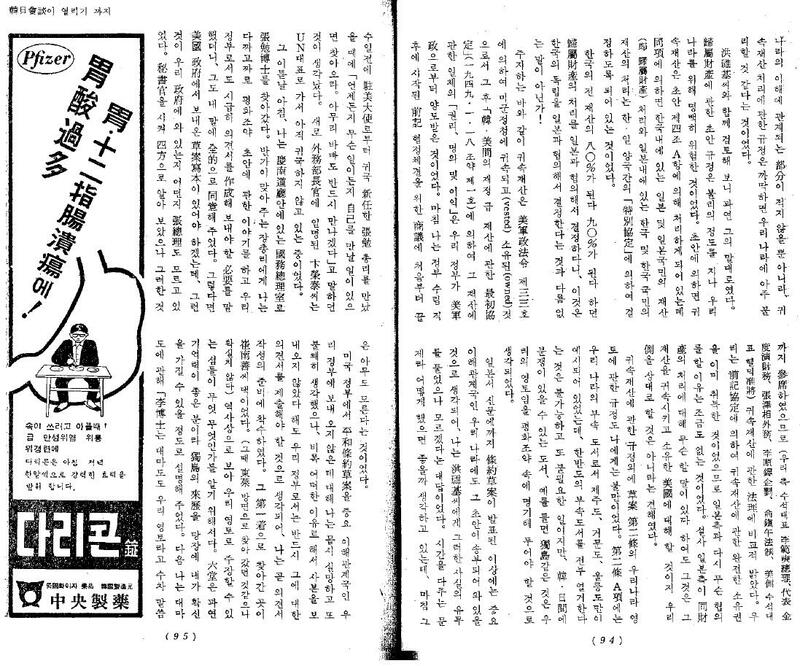 I see Korea's "East Sea" movement as a nationalistic, anti-Japanese movement. If it were not anti-Japanese, then Koreans would be pushing equally as hard to change the name "Yellow Sea" to the "West Sea." Koreans may not realize it, but their campaign to change the name of the Sea of Japan looks pretty silly to the rest of the world, and I would advise them to stop it. I may reconsider my stance when I start seeing a majority of Korea's Web sites and maps using the name "Sea of Japan" alongside the name "East Sea." "Rie Akiba angers Korean netizens with Dokdo"
According to THIS ARTICLE, Korean "netizens" are angry at Rie Akiba over a comment she made about "Dokdo." Rie is the Japanese member of a panel of foreign women that are featured on a weekly Korean talk show. The women are asked their opinions on a variety of topics generally concerning Korea. The women respond in Korean with varying degrees of fluency. Rie said that when she is asked her opinion on "Dokdo," she usually dodges the question by turning it around and asking the questioner his or her opinion, instead. She also asks why he or she has that opinion and where the questioner got the opinion. I have actually done some research on Dokdo. Korea first found it, but I cannot say for sure which country it belongs to. Korean people first found it, but the first people to name it were the Japanese. 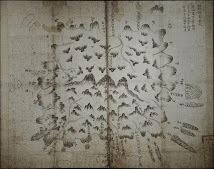 First, there is no evidence to suggest that Koreans were the first to find "Dokdo." 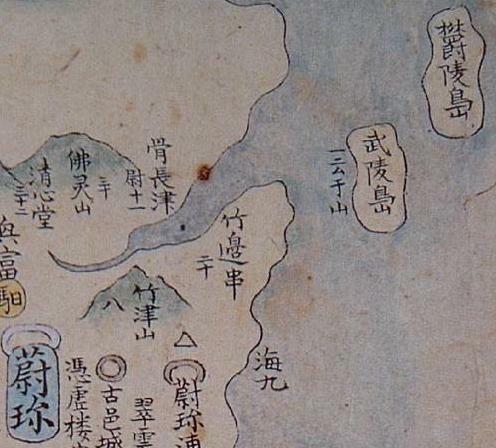 All the evidence shows that the Japanese were the first to both find and name the island, which was first named "Matsushima" and later "Takeshima." Second, there are maps and documents proving that the Japanese were visiting "Dokdo" (Takeshima) as far back as the 1600s, but Korea has no evidence of Koreans visiting the island before the Japanese started taking them there on Japanese fishing boats in the early 1900s. Also, the Korean name for the island, "Dokdo," does not appear before the early 1900s. 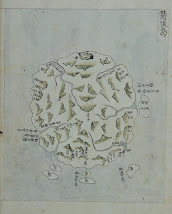 If Rie had really researched the isssue, then I cannot understand how she could come to the conclusion that Koreans were the first to find Dokdo. Did she use Korean or Japanese sources? Is the history really that poorly explained in Japan? I wonder if Rie really believes that "Dokdo" (Takeshima) was first found by Korea or if she only said that in a failed attempt to be diplomatic and avoid crucifixion? Another member of the talk show panel, Canadian Dominique Noel, defends Rie Akiba against Korean netizens on her Web site. See HERE.